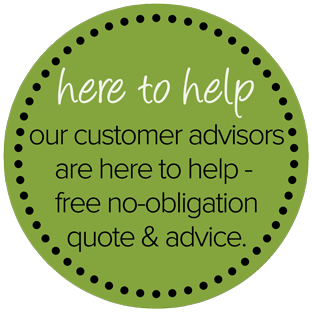 Eden Windows prides itself on only ever utilising market-leading products manufactured by the industry’s finest companies such as the revolutionary Aluminium Roof Lanterns developed by Atlas. 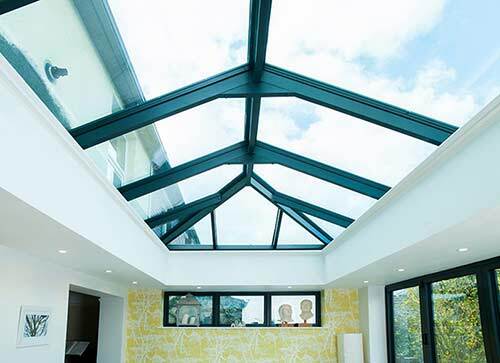 Atlas Roof Lanterns are renowned for offering exceptional strength, endurance and performance, even though they’re specially crafted to provide MORE SKY – LESS ROOF™. 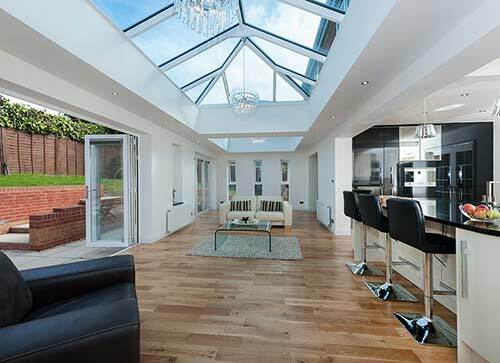 The dramatic effect an Atlas Roof Lantern will have can only be fully appreciated in person but you can certainly expect a total transformation of the relevant room's in terms of how different the entire ambience changes. We couldn’t be more pleased to be an Approved Atlas Installer. 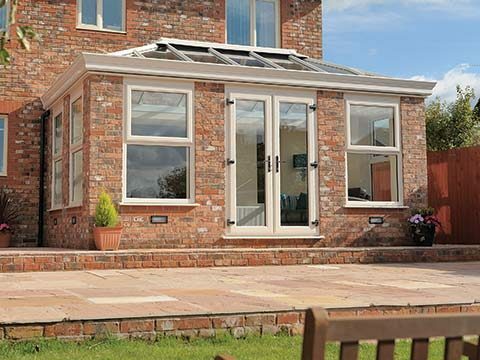 The Atlas Lantern Roof excels at turning rooms into comfortable living spaces thanks to the outstanding thermal efficiency it delivers throughout the year. It also outshines other roof solutions for aesthetics and durability. The 40mm rafters and ridge of Atlas Roof Lanterns make the design 70% slimmer than many other rival roofing systems. 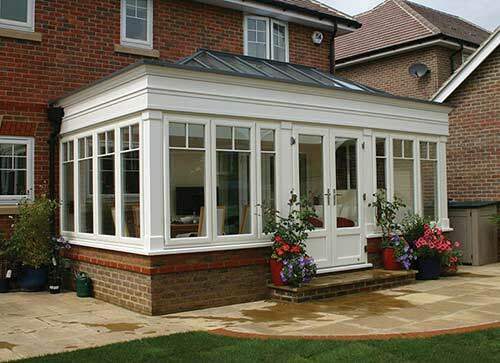 The more substantial roof lanterns designs are suitably reinforced internally in the rafters and by no means fail to provide the level of strength that you would rightly expect, despite their slender frames and fine lines. 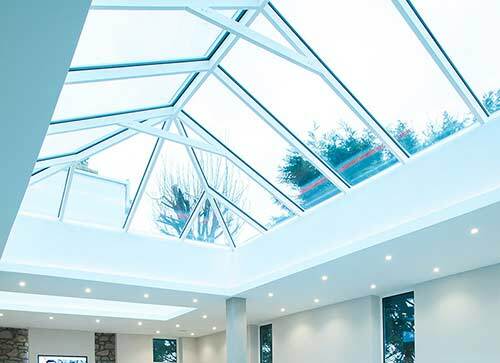 Even the ever unpredictable British weather cannot defeat the Atlas Roof Lantern as it is crafted from the very finest building materials, whereas alternative roofing systems regularly fail to perform when regularly exposed to extreme weather. How are we so confident in Atlas? 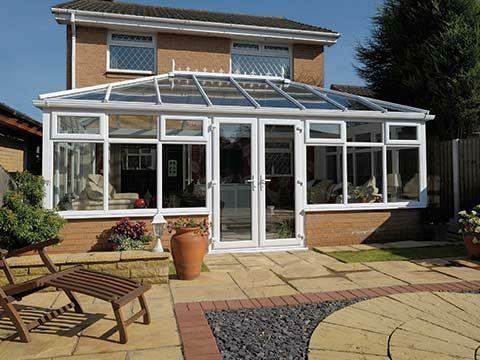 Because it has passed various independent tests and demonstrated itself to be the most durable roofing system available in the UK conservatory market. It’s also worth mentioning that they can endure 33% greater live loads (wind/snow) than other roofing solutions. 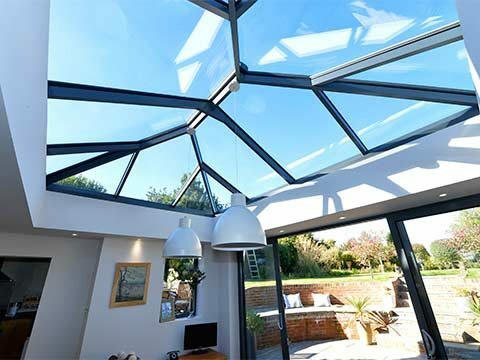 Say goodbye to a room that feels unbearably hot in summer and ice cold in winter as the lantern contains specially developed glazing that’s suitably sealed. The coated glass ensures this by deflecting away any unwanted solar glare and excess heat so that interiors remain comfortable during the seasons without being blighted by unsightly condensation first thing in the morning. Because of the unparalleled thermal efficiency it provides you can also expect heating costs to be vastly reduced which can be largely put down to the incredibly low “U-Values” of the design. Typically, a slender Atlas Roof Lantern will offer U-values of only 1.2-1.5 W/m2K, whilst alternative roofing systems usually carry U-values of 3W/m2K and above. 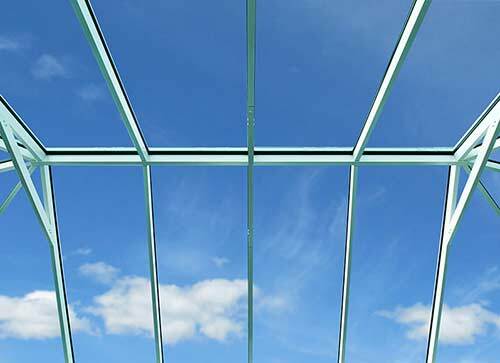 Every Atlas Roof Lantern can be supplied in a wide selection of glass with everything from 24mm standard toughened double glazed units to 28mm, 36mm or 44mm triple glazed units. 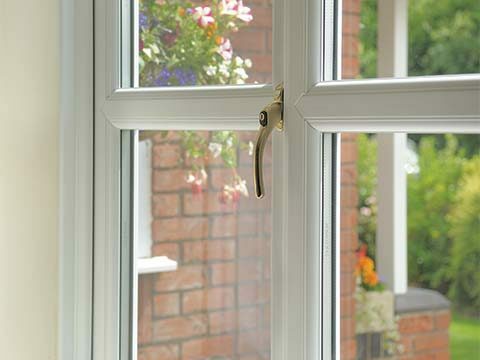 Each unit features thermally efficient coated glass and is Argon filled. 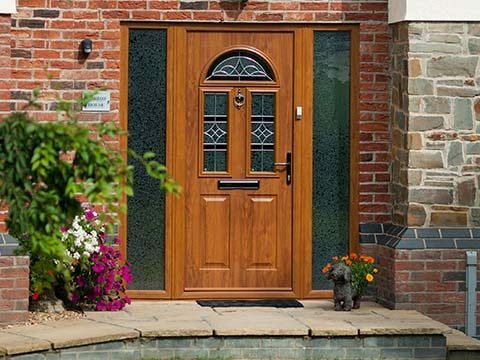 They can also be adapted further such as with the inclusion of specialist noise reducing glass if cutting the impact of external noise is your main concern, and you can also utilise self-cleaning glass. We all want to own the most beautiful home possible and there’s no question that the addition of the lantern will liven up the appearance of any property. We urge you to stand directly beneath the Atlas lantern and you will become immersed in its beauty. It adds a whole new dimension and somehow almost feels like it floating in the sky above your eyes and you’ll be left floating with it. Much of the credit for those magnificently elegant lines goes to the slight 40mm rafter box profile. Only when choosing a Victorian style will it necessitate the inclusion of a boss or hood. 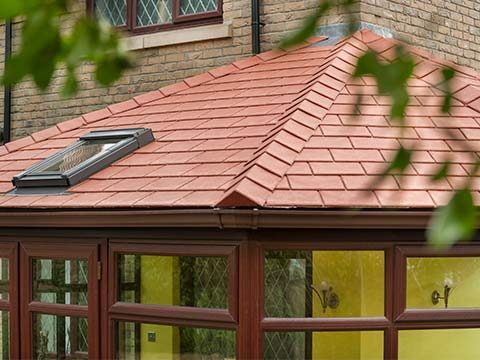 We guarantee that the Atlas roof will make your home the envy of the neighbourhood as it is amazingly pretty when you compare it to most old conservatory roofs. The rafter external caps and slimline ridge play a large part in its immense stylishness. 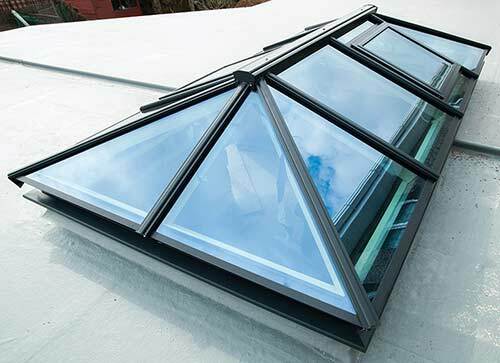 There’s plenty to ponder when it comes to choosing an Atlas Roof Lantern including whether you would prefer to include bevelled or flat external roofing caps in UPVC or aluminium. Then when it comes to finishes you have a remarkable 200+ RAL colours to consider, something that needs to be carefully thought about. So that the aluminium exterior coloured profiles sustain their appearance they contain a powder-coated paint. We also give you the option of settling for a dual coloured roof if that’s what best complements your home’s interior and exterior. The addition of manual or electric roof vents might be a further consideration if superior ventilation is a key concern of yours. We’re always happy to oblige.